Run Free, Renee. Run Free…. So yesterday I showed up for a trail race I wasn’t sure I was ready to do or even wanted to do. My recovery from the gallbladder surgery has kept me OFF the road more than on. And I haven’t been running 4x a week like I was. PLUS I have had some heel and hip pain that I’ve been trying to not antagonize. I made an appointment with a chiropractor who is a runner and she told me all about the importance of stretching, which is somehing I don’t do enough of. I left the appointment thinking I had better invest some time in a weekly yoga class which can double as stretching AND cross training. I don’t like the idea of doing anything other than running because of my fear that my pace will suffer. However–not stretching or not cross training will take me off the road completely if I don’t do it. Sometimes what I think are tough decisions really arent tough decisions at all. This is a no-brainer. Invest some time in yoga, stretching, and cross training and avoid injury and time “on the bench”. If you’ve read any of my past posts—you know my brain doesn’t think rationally. So…it is a tough decision. Until I get a wake up call. Like hip and heel pain. Back to the trail run. I showed up for ONE reason: I paid $75 for this race. Had it been a $35 race I wouldn’t have showed. But for the amount I paid….I was not about to waste that. 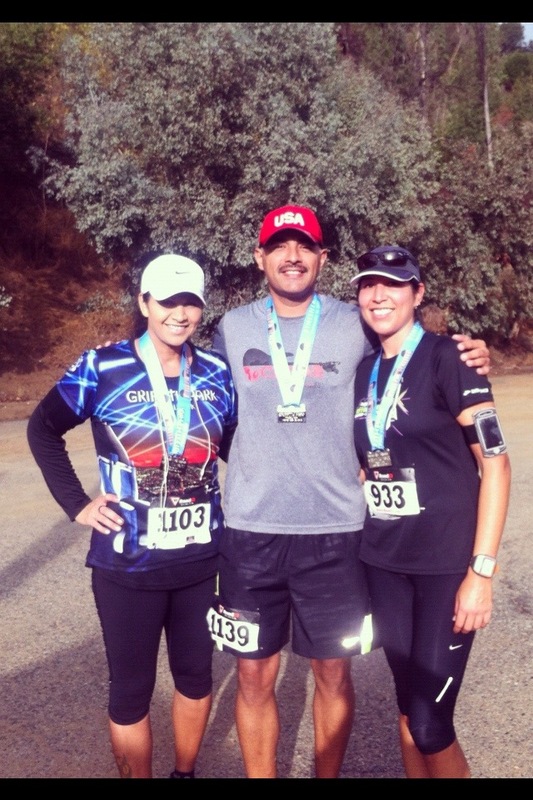 So ready or not–I was going to do that 10k trail run in Griffith Park, known for their trails and HILLS. People HIKE there. “I’m going to be the last one in”. And that was not even a half mile in. After completing the initial hills/stairs that we had to climb…it leveled out pretty much and I was able to stop throwing a fit and enjoy the scenery. I wore my headphones ready to listen to some music. I never turned the music on. I was too mesmerized by the hills and trees and mist. I was amazed at every turn. I thought about so many people while I was running. I wished that ALL my running buddies had signed up for this. I had a TNT Teammate that was running this too. I was so excited to know we’d have this experience together! Some hills were STEEP. Uphill and downhill. At some points of the run I didn’t see anyone in front of me or behind me. It was quiet. Except for my gasping for air. Yet–I was in heaven. This is what I’ve been wanting to do. Trail run. And I was doing it! Coming around one of the last bends, I could hear people yelling and clapping below me. I looked down the side of the hill and I could see the finish line. I was almost there! A few more corners and I would be done. I ran as fast as I could through the finish line. I heard someone yell “way to finish #1103!!!! !” I held my arms up and yelled “woooooo” as I went through the finish. Got my finisher’s medal and there was a man there handing out mini white donuts. (My most favorite) How brilliant?!!! White donuts?! YUM. We ate the hot egg and cheese sandwiches that were there waiting for us. Talked about our experience. It was one of the hardest runs I’ve ever done , and as challenging as it was, it was one of the most rewarding. I flloated back to my car and just sat there for a while. In the quiet. 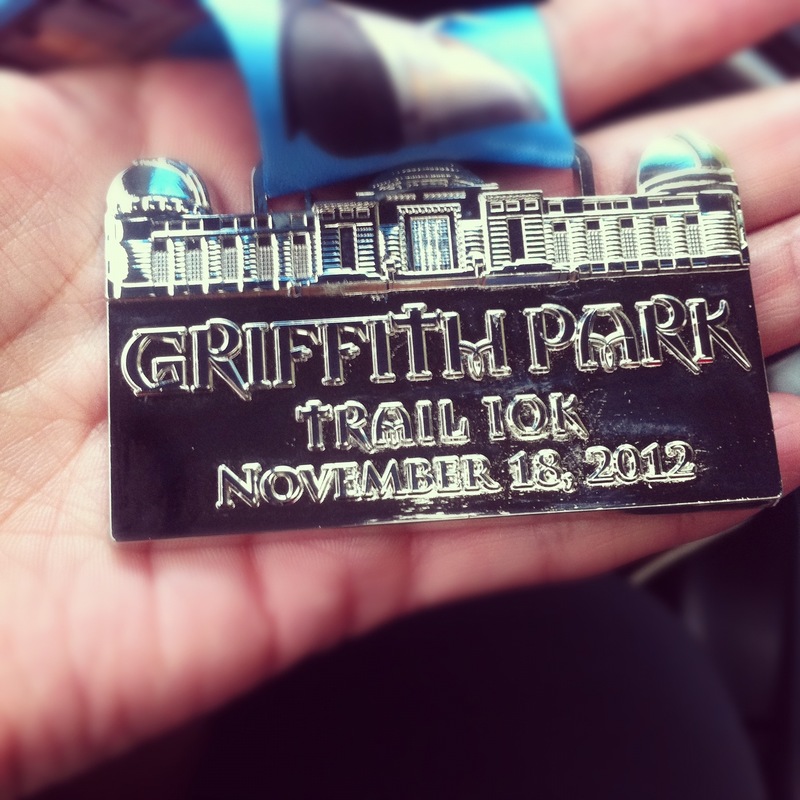 And admired my medal. It was so beautiful…. And as I was sitting there touching it and taking a picture of it. Something was nagging at me but I could not pinpoint it. And then all of a sudden—like someone came into a dark room and flipped the light switch on—I realized what it was that was trying to scratch and climb its way out of my subconscious. I love that my life is living proof that I walked through hell and made it out the other side. I love that when that memory hit me–I was holding a medal in my hand that was tangible proof I can do anything I set my mind to do. I love that I did not become sad when that sad memory hit, without any notice. I can remember that day like it was yesterday. Begging him to stay in a marriage he no longer wanted. It’s amazing to me how far down I had gone. The woman today would never beg anyone ever. And more importantly—here’s the miracle—she loves herself way more than she ever thought she could. November 18th, 2006. You don’t own me anymore. 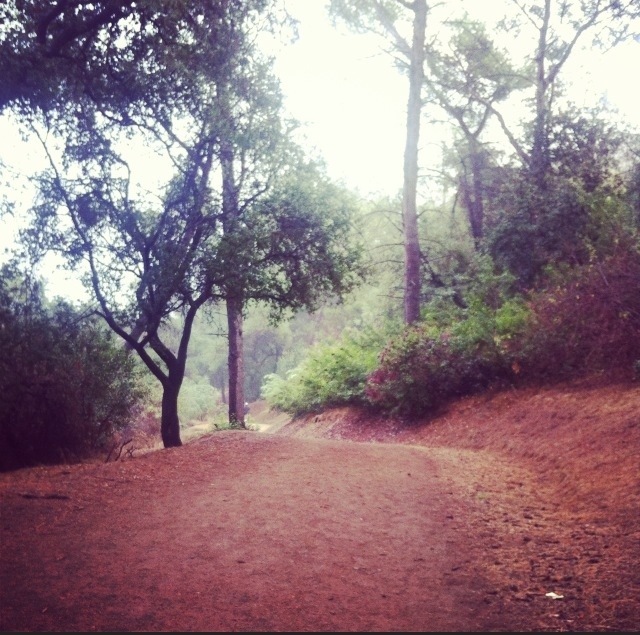 Griffith Park has replaced you. Me with my TNT teammate-turned-friend Lizette and her BF, Manny.